Calling Books & Boutique Lovers, Readers, and Fleas! We’re beginning May by celebrating books and readers! 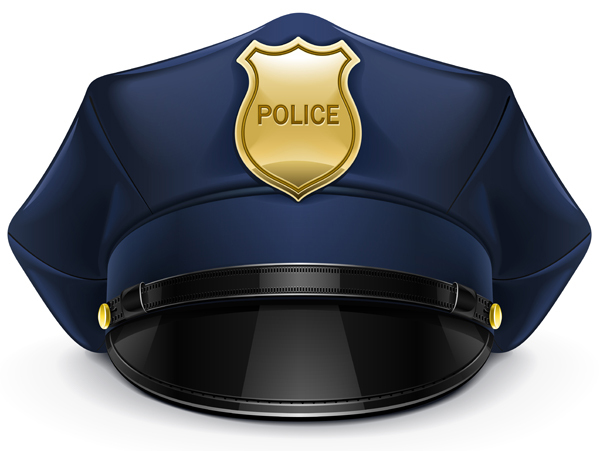 It’s National Children’s Book Week May 1-7 and we have special police officer and firefighter guests to help us with Storytime and reading events. Kids, we still have spots available for you to read your favorite book to a Prairie Village police officer guests this Saturday (call 913 385-1234)! Don’t forget, you can vote for your favorite children’s book and shop the sale book cart all week. Come see your friends from the Learning Tree at the St. Luke’s South fundraiser, Books & Boutiques this Friday and be sure to sign up for our 9th Annual Kid’s Flea Market at the end of the month. Read on for all the dates and details in our May Calendar below! Add some fun to your summer days! Join us in the Rainbow Room at Corinth Square for crafts, creating, and CRAZY fun. A fan of the ever-popular slime, goop or dough? You’ll want to sign up for our mixed-by-me Thinking Putty Workshop by Crazy Aaron, one of our NEW Summer Activities. It’ll stretch your mind!!! Want to know the story behind Crazy Aaron? Sign up today for this and 7 other FANTASTIC in-store Summer Activities! 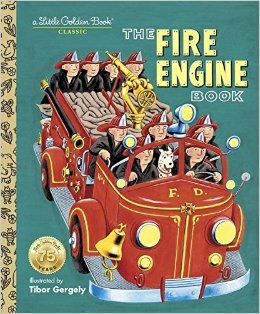 National Children’s Book Week is the time to enjoy a classic Golden Book Storytime with Firefighter Chase from the Lenexa Fire Department. Preschoolers, you’ll love this event! Bring your favorite book or choose one from our book pile. As you arrive, you will be given a number for your turn to read. 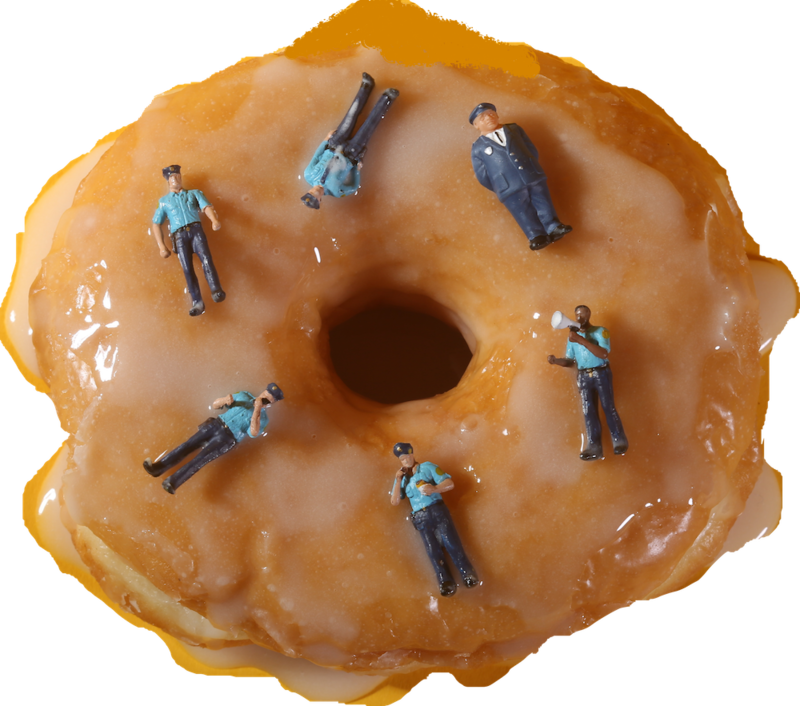 Enjoy doughnuts and event activities while you wait! When we call your number, you’ll have 5 minutes to read your chosen book to the officer. 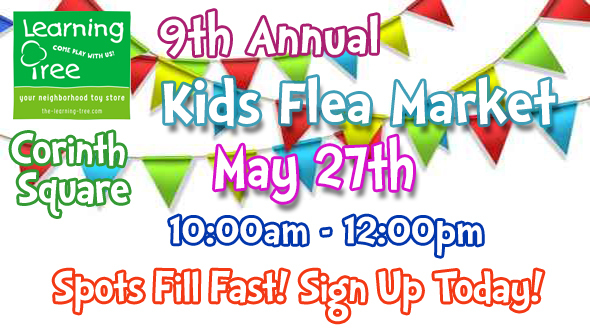 Kid’s Flea Market – Sign Up TODAY! Plan a family activity for Memorial Day weekend! Make the 9th Annual Corinth Square Learning Tree Flea Market a tradition! We’re your local toy store and the Learning Tree Kid’s Flea Market is a family friendly, community event that pulls everyone in the neighborhood together! Whether you set up a family, kid centered booth for selling, or shop the market looking for bargains on kid’s stuff, everyone is welcome to enjoy the morning! The Kid’s Flea Market gives kids a chance to run their own business for a few hours and to do a little spring-cleaning in the playroom! With their booth spot reserved, kids can begin to collect their out-grown and gently used toys, books and games to re-sell. Click here for more information or sign up for your booth space.